Linux support has been finally promised for much talked game Carmageddon: Reincarnation. The project is currently on Kickstarter sitting at $580k with 12 hours remaining. Linux support was promised at a stretch goal of $600k (original goal $400k) but now developers have announced that they will release a Linux version even if they do not reach the goal. A DRM free copy of the game can be grabbed for $15. 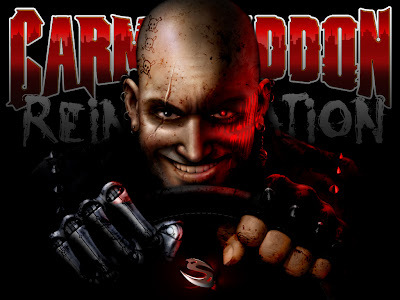 Carmageddon: Reincarnation is sequel to popular game Carmageddon, released back in 1997 and it was an instant hit thanks to its anarchic gameplay and over-the-top surreal comedy violence. Carmageddon: Reincarnation will reintroduce the original free-form driving sensation. The new game will be inspired by the classic environments, cars, drivers and power-ups from the original but with better graphics. There will be a bunch of brand new stuff including true rag-doll pedestrians and physics-based power-ups that let you mess with their limbs. Wasteland 2, The Banner Saga, Nekro, Mobieus, Shadowrun Returns and now this. The recent craze for crowd funding game development is surely doing lots of good to Linux gaming.